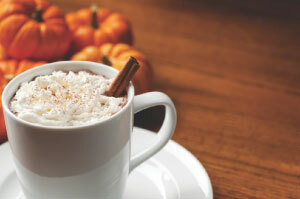 Warm up with this festive and fantastic fall beverage! Warm egg nog in microwave on high for 15-20 seconds and add to freshly brewed strong coffee. Top with freshly whipped cream, sweetened to taste.